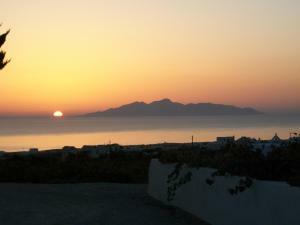 The Villa Koronios is located at 5 minutes walk from the center of Fira, in Santorini. It has a pool with a hot tub and a large sun terrace. 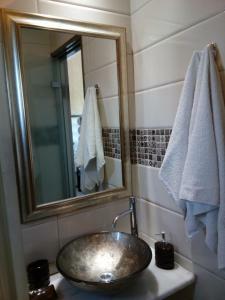 This air-conditioned room features free Wi-Fi, beds with iron beds, TV, private balcony, fridge and electric kettle. 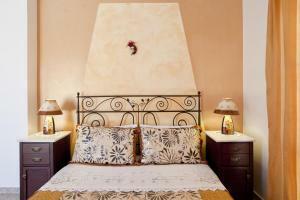 Tastefully decorated room with iron beds, air conditioning, TV, fridge, kettle and private balcony. It also has a safe and a hairdryer. There is free Wi-Fi. Studio with traditional furniture, a kitchenette and a flat-screen TV. Air-conditioned studio with an electric kettle.